RUPES BigFoot Coarse 6.5" Gear Driven Mille Foam Polishing Pad has been specifically engineered for distinctive gear-driven movement of the RUPES BigFoot Mille LK 900E Gear Driven Orbital Polisher improving stability and control while reducing pad distortion. RUPES BigFoot Coarse 6.5" Gear Driven Mille Foam Polishing Pad will correct severe defects such as scratches in paint as well as up to P1500 sanding marks. RUPES BigFoot 5.5" Gear Driven Mille Coarse, Fine and Ultra Fine Foam Polishing Pads have been engineered for the clockwise rotation distinctive gear-driven movement of the RUPES BigFoot Mille LK 900E Gear Driven DA Polisher, improving stability and control while also reducing the risk of pad distortion. 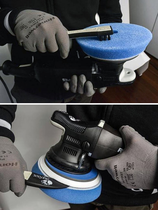 The tapered low profile design helps minimize the pad edges connecting with the adjacent surfaces during your polishing. RUPES BigFoot Coarse 5 1/2 Inch Gear Driven Mille Foam Polishing Pad dense enough to remove serious defects and up to P1500 sanding marks. 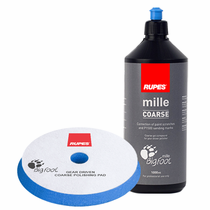 The open foam large cell structure of the RUPES BigFoot Coarse Gear Driven Mille Foam Polishing Pad creates cooler temperatures for minimal surface drag during your polishing process. 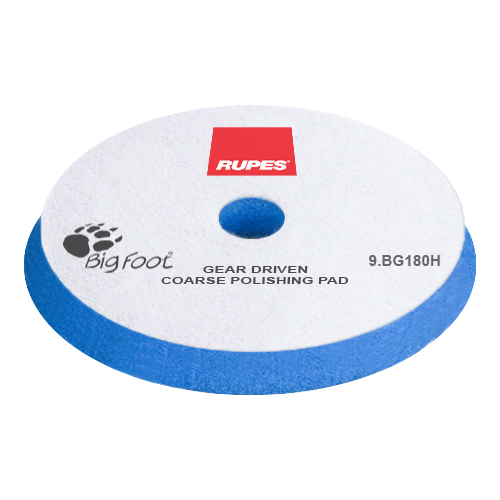 RUPES BigFoot Fine 5 1/2 Inch Gear Driven Mille Foam Polishing Pad will remove paint defects that are moderate to light as well as improve shine. 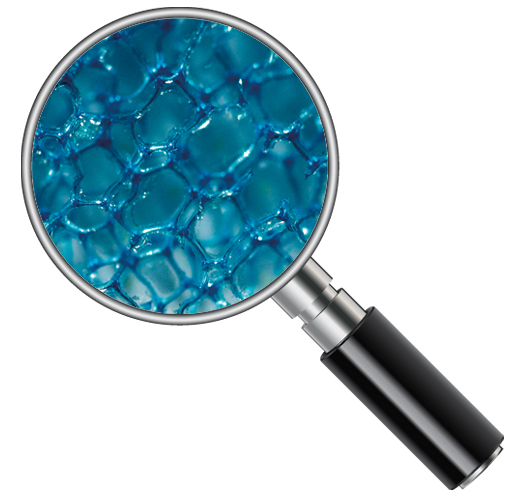 The fine cell structure of the RUPES BigFoot Fine Gear Driven Mille Foam Polishing delivers dependable results throughout your polishing process. RUPES BigFoot Ultra Fine 5 1/2 Inch Gear Driven Mille Foam Polishing Pad has what it takes to bring your paint to the next level of perfection with an unbeatable depth in shine. The foam cell structure of the RUPES BigFoot Ultra Fine Gear Driven Mille Foam Polishing Pad is ultra-soft yet firm enough for fine tuning your final polishing for an unbelievable clarity in your final finish.